Introducing a product so revolutionary that it could only come from one company. 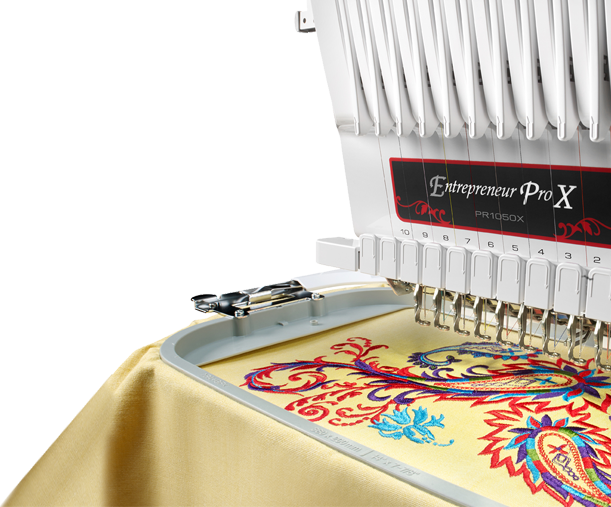 A company that embraces embroidery enthusiasts and entrepreneurs. 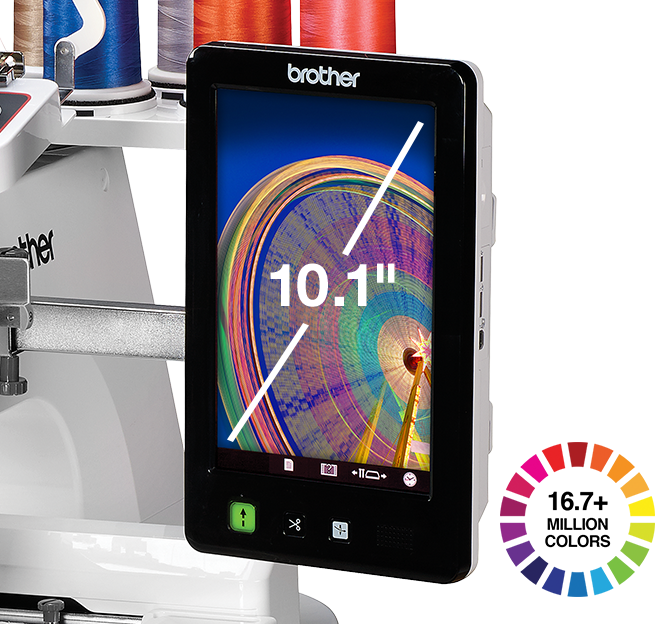 Those looking for a highly powerful and efficient 10-needle embroidery machine but with the ease of use and reliability that only Brother can provide. 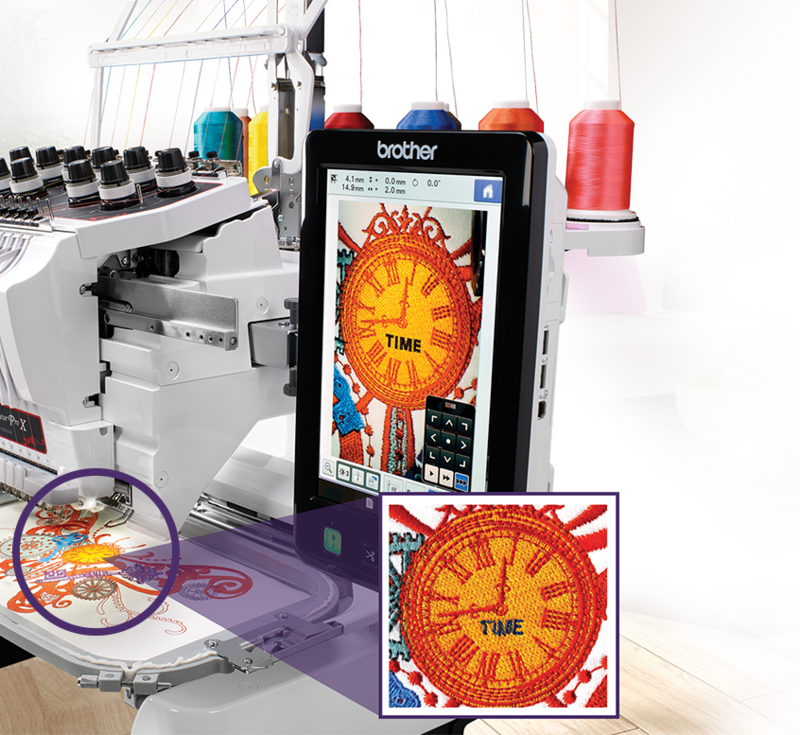 Virtual Design Preview™, superimpose your design image on fabric without scanning.Seeing is believing. Shine brilliant light on your designs with our brightest work area ever! The PR1050X casts pure, full-spectrum lighting onto your workspace with 5 built-in LED lights. Our newest multi-needle machine is engineered to be quieter – up to 20% quieter than prior models! Oiling your machine has never been easier! Simply press the oil button on-screen to set the hook angle at the best position for oiling. This industry-first technology gives you a live and up close view of the needle area for the most precise positioning ever. 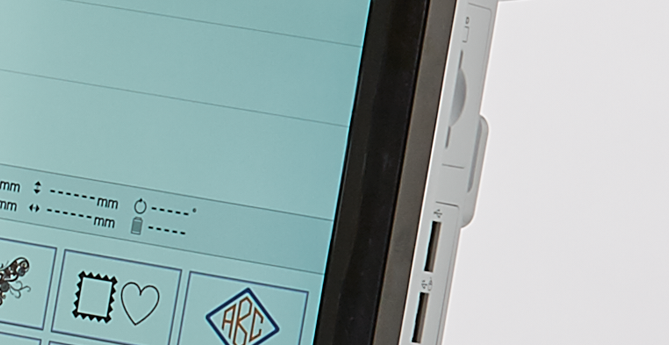 My Design Center integrates with our industry-first InnovEye® 2 Technology to offer new design capabilities at your fingertips, all without a PC. 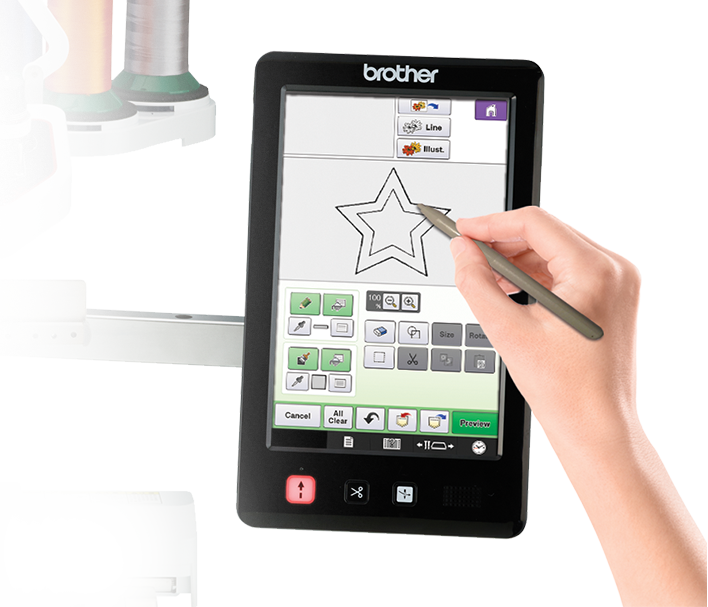 BES®4 Dream Edition is a full-featured lettering, monogramming and customization PC software program PLUS a free wireless upgrade kit and access to a free cloud-based application for storage and basic on-the-go editing capabilities. 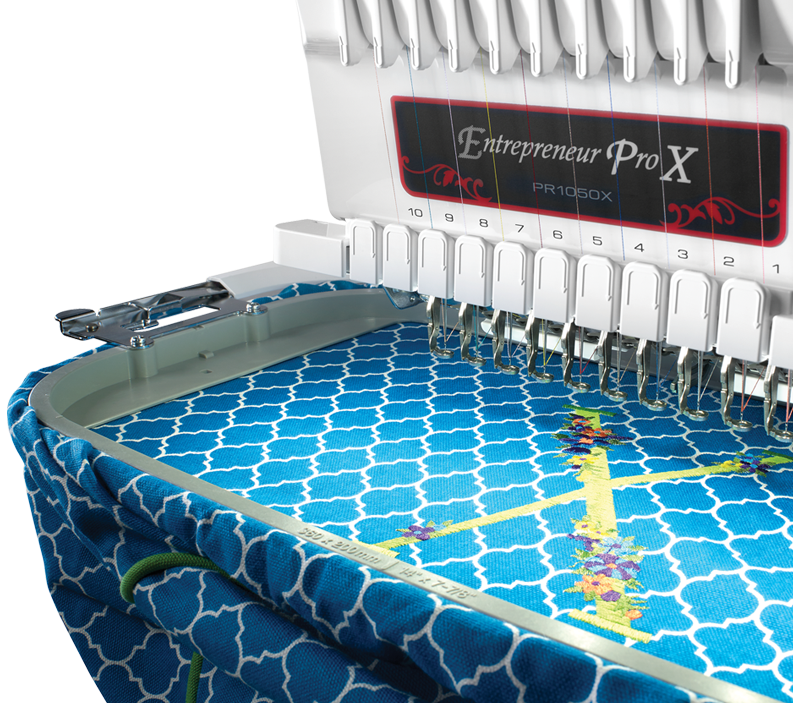 Stitch out the built-in designs as they are, or express your creativity with the design editing features which allows you to customize your creations. Personalize in just about any style with a full range of built-in fonts. 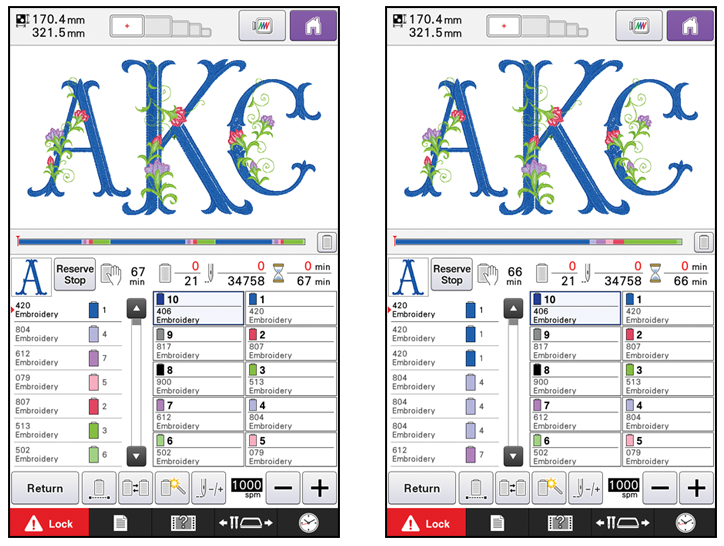 Personalize fonts by adjusting the spacing, or change the thread density to improve the look of stitching. Defy embroidery as you’ve always known it by stitching designs up to 10 colors without changing thread. 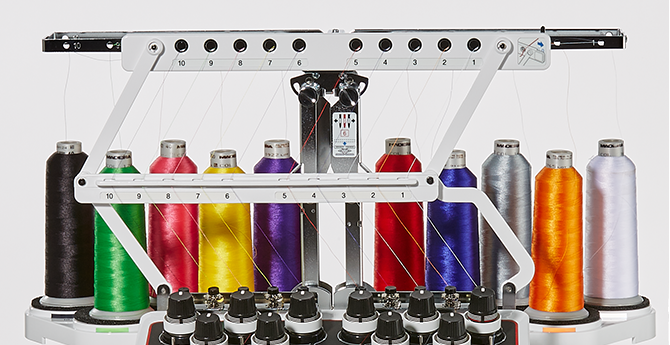 Many 20-color designs can be completed with just 2 thread changes. And for variety, switch to monochrome mode to stitch multi-color designs as one-color designs. 2 high-speed ports and SD card slot. Now you can copy multiple design files from your USB to the machines memory at once.